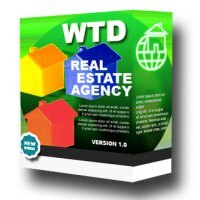 Real Estate Agency software, WTD. Stay ahead of the competition !! Inform buyers for the qualifying properties. Contact via email and brochure. Mark informed or rejected buyers-sellers. Offline version, for single agency or lan connection between computers. Stay ahead of the competition, inform your clients faster and easier. Find the perfect relevant properties for your buyers and buyers for your properties. Print forms for your clients filled with their data in a snap. Option for weekly backups for safe keeping. Non Vista platforms may require upgrade of Microsoft.NET framework from v1.1 to v2.0,(or 3.0). Internet Explorer 5.5 (or higher) . 1.Full instal. Install it to the same directory as previous installation. 3. No need to uninstall previous version, just remember the backup folder location, you may need to reload database.